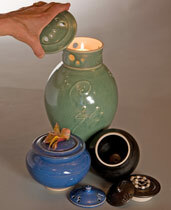 GALLERY 2 - URNS WITH "KEEPSAKE LIDS"
I created "Keepsake Lids" for those who wish to place something reminiscent of the departed within a compartment on top of the urn; perhaps a piece of jewelry or a note or poem, a tea candle or incense. 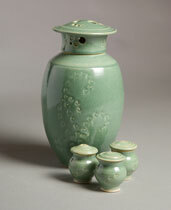 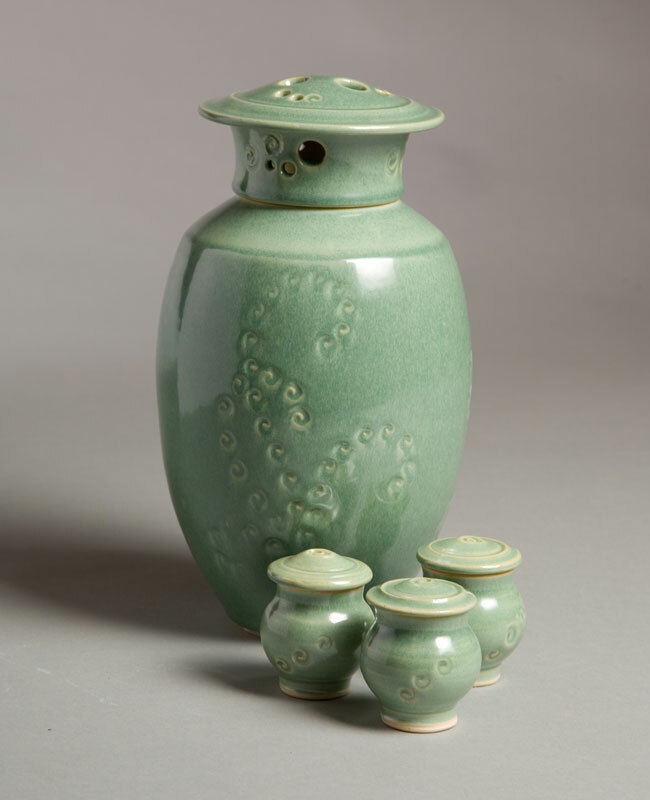 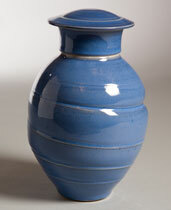 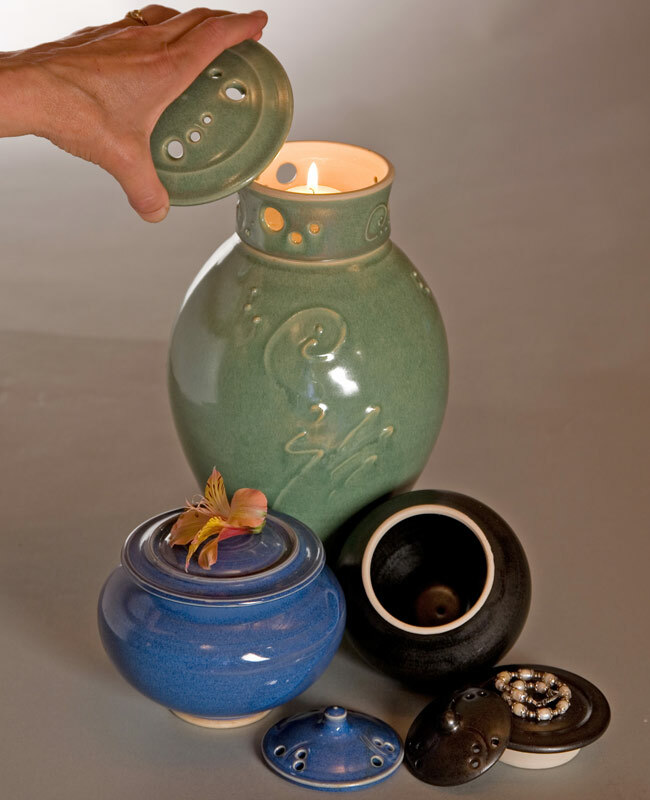 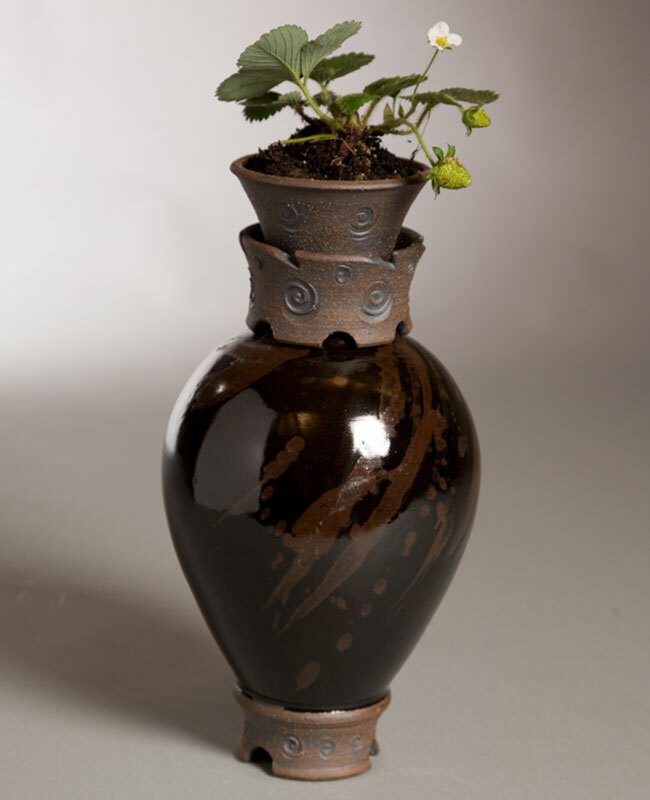 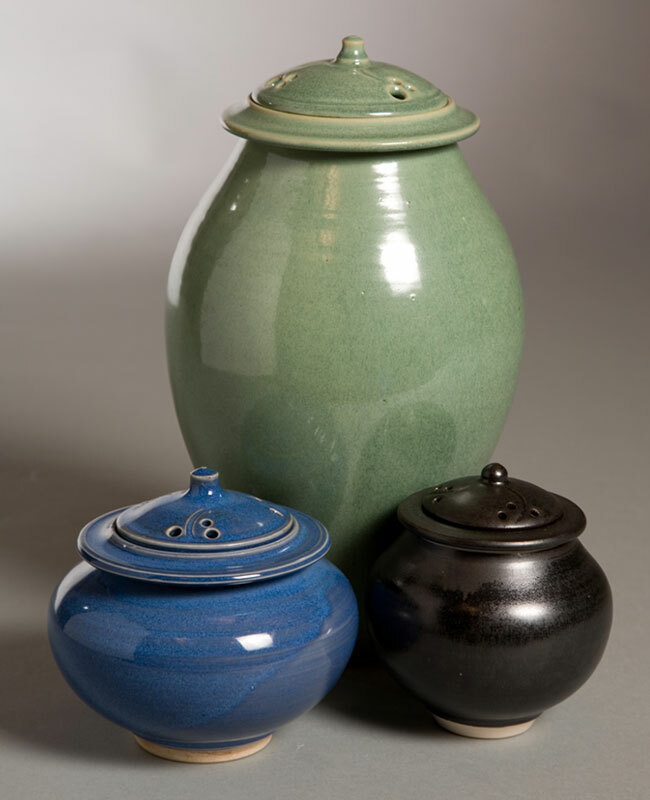 Five Keepsake Lid styles are available; "tall", "tall open-holed", "low" "earthtone" and "earthtone with planter"
Three urns with low keepsake lids illustrating some sizes available. 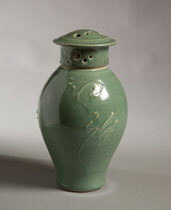 15" tall x 7 1/2" wide.